We have extensive experience appraising various types of fabrication machinery and sheet metal equipment within almost every major industry for 30 years. We produce reliable, unbiased and objective equipment valuations for manufacturing plants, service companies, and asset based lenders. 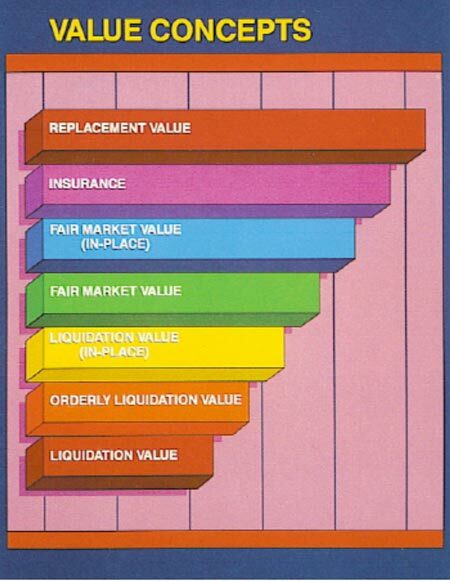 Step #1 Establish the purpose for the appraisal along with the value concept to be utilized. Step #2 Carefully inspect and properly identify the machinery & equipment to be appraised. The identification includes a description, model number, serial number, and a digital photograph. Furthermore, we take note of condition, rebuilds, retrofits, and any other factors which can affect value. Step #3 The next step is to research the value and take all approaches to value into consideration. Our data base has up-to-date market information on the sales of machinery and equipment throughout the world. Combine this with our 30 years of appraisal experience, and we are able to estimate the true worth of your assets. Step#4 Once the research is complete and the values have been assigned, we will deliver a bound presentation. Calidad Machinery & Equipment, Inc. conducts machinery and equipment appraisals throughout the United States, including Puerto Rico.